An insurance company denied coverage to an 18-year-old cancer patient. Emily Ball is a four-time cancer survivor and was denied coverage for her cancer treatment, twice. Express Scripts, the teenager’s insurance company, said that because the prescribed cancer treatment is experimental, they would not cover it. Thankfully, the pharmaceutical company that manufactures the drug has provided Emily with a 90-day supply. However, she needs a long-term solution. “It pisses me off that – I’m sorry, I shouldn’t say that – but that they get to choose whether she lives or dies, basically. Because without this, that’s what’s gonna happen,” Veronica said. This isn’t the first time Express Scripts has taken advantage of patients. Recently, California patient Gretchen Liu was overcharged for a generic medication that is used to help manage her blood pressure, paying $285 with her insurance instead of $35 – the out-of-pocket cost for the same medication. 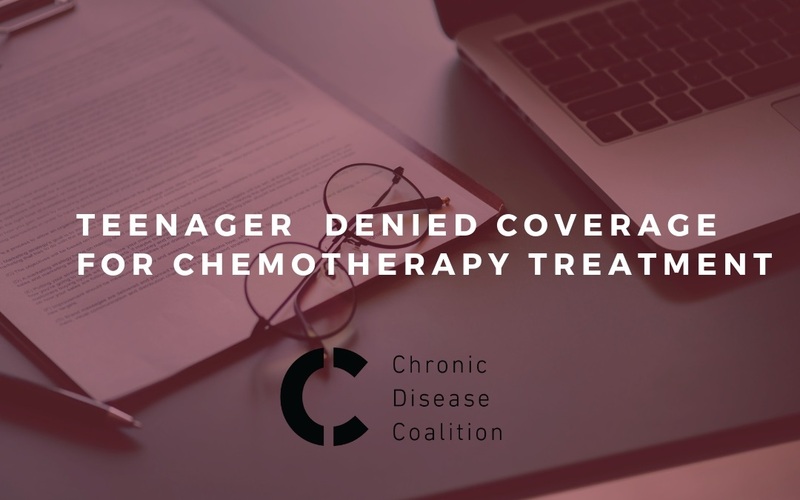 Whether a denial of coverage, high premiums or inadequate coverage, the Chronic Disease Coalition works to hold insurers like Express Scripts accountable. Chronic disease patients deserve quality care. It’s time to push back against greedy insurance companies, join us in the fight today.